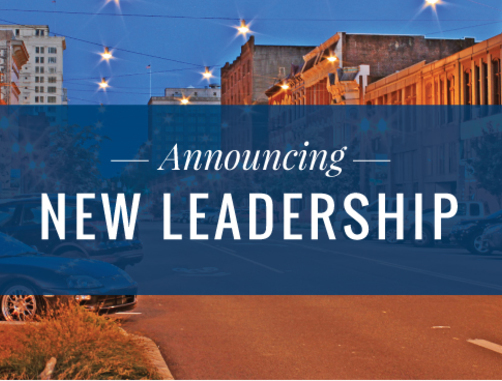 AHBL is excited to announce the addition of three principals and three associate principals. Structural engineers, Drew McEachern, PE, SE and Ken Leland PE, SE were promoted to principal. Civil engineers, David Nason, PE; Bill Fierst, PE; and Erick Fitzpatrick, PE were promoted to associate principal. Each brings a passion for the profession and leadership as AHBL begins our 49th year. Throughout Drew McEachern’s 20 years with AHBL, he has focused on building his technical skillset and is recognized for his flexibility and innovation. Municipal maintenance facilities are one of Drew’s specialties, including the award-winning Pierce County Sewer and Traffic Operations Facility, which earned the “Project of the Year” award from the American Public Works Association. Drew provided the structural design for the Advanced Technology Center at Bates Technical College, which earned an AIA Award of Merit for Education Facility Design and provides STEM-focused programs. Drew also volunteers with the Boy Scouts of America and is a former board member of the Structural Engineers Association of Washington. With 20 years at AHBL, Ken Leland embraces the AHBL's culture of caring. He serves as the corporate liaison for AHBL’s internship program and plays an integral role in employee engagement, recruitment, and mentorship efforts. His project work includes the LEED Platinum Center for Urban Waters in Tacoma, the Roosevelt Way Apartments in Seattle, and the Center for Business and Innovation at South Puget Sound Community College’s Lacey campus, which was the first design-build project for the Washington State Department of Enterprise Services. Ken is also an outdoor enthusiast and Washington Trails Association member. David Nason’s deep resume of educational facility design reflects his passion for projects that will improve his community. He’s spent the past 11 years of his 20-year career as a civil project manager in AHBL’s Tacoma office and he calls Tacoma home. His work on the University Y Student Center at University of Washington Tacoma was a unique collaboration between the University and the YMCA to provide an amenity for students and the community. He’s currently working on the replacement of Birney Elementary for Tacoma Public Schools and the Eastside Community Center for Metro Parks Tacoma. David enjoys volunteering at Parks Appreciation Day and mentors our junior-level engineers. Bill Fierst is a highly detailed-oriented engineer who is known for the thoroughness and quality of his work. His18-year civil engineering career at AHBL has allowed him to contribute to a wide variety of education, federal, and commercial projects. He’s currently working on the new Olympic Middle School for Auburn School District and the 6th and Alder Mixed-Use project in Tacoma. He particularly enjoys working on projects at Joint Base Lewis-McChord, including the Unity Bridge which won a Silver Project of Excellence Award from the Society of American Military Engineers (SAME). His commitment to AHBL’s federal clients is demonstrated through his position as of the Mount Tacoma Post of SAME. Erick Fitzpatrick joined AHBL in 2012 and his promotion to Associate Principal is a testament to his skill and ambition. He has 12 years of experience and oversees civil engineering in AHBL’s offices in Spokane and Tri-Cities. He is a native of Spokane and enjoys projects that improve the Inland Empire’s communities. His work on the Liberty Lake Road Rehabilitation for the City of Liberty Lake transformed this major arterial with a multi-modal approach that added bike lanes, pedestrian amenities, and landscaped traffic islands. Erick volunteers with Habitat for Humanity, as well as the Lands Council, which helps to preserve and revitalize Inland Northwest forests, water and wildlife. Through his work with the Lands Council, he recently volunteered at Saint George’s School in Spokane to teach students about green stormwater infrastructure.